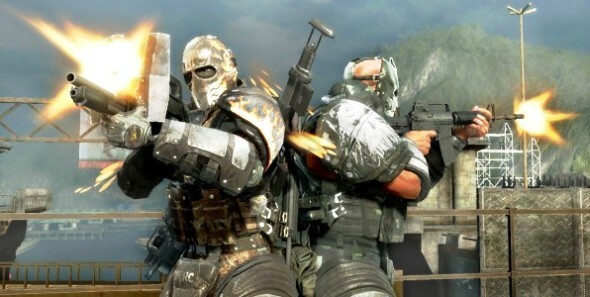 EA revealed the Army of Two: The Devil's Cartel release trailer. The bandits attacked the jeep in which, most likely, an important for the main characters, person was. After that, they decide that it's time for revenge, and begin the"fun"! And if you're drug dealers from Mexico - then watch out! Army of Two: The Devil's Cartel (Army of Two 3) - is co-operative shooter that received excellent reviews from many critics and players. A lot of users have already tried the gameplay in the demo version, which was introduced last week. If you are still not sure whether to make a pre-order or to buy the game or not, you can just download Army of Two: Devil's Cartel demo version now. Army of Two: The Devil's Cartel is going to be released on March 26 for PC, Xbox 360 and PlayStation 3. In addition, those who make the pre-order, will receive unique full-size Army of Two masks!